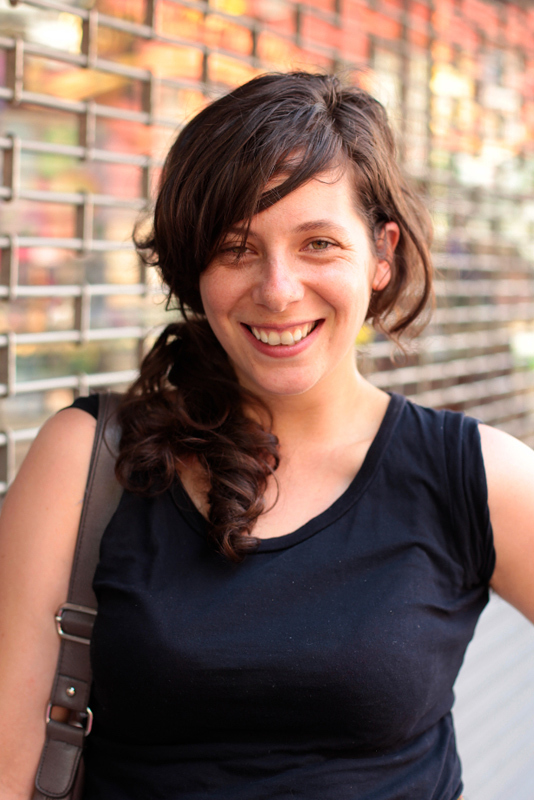 "My inspiration comes from other peoples' art." 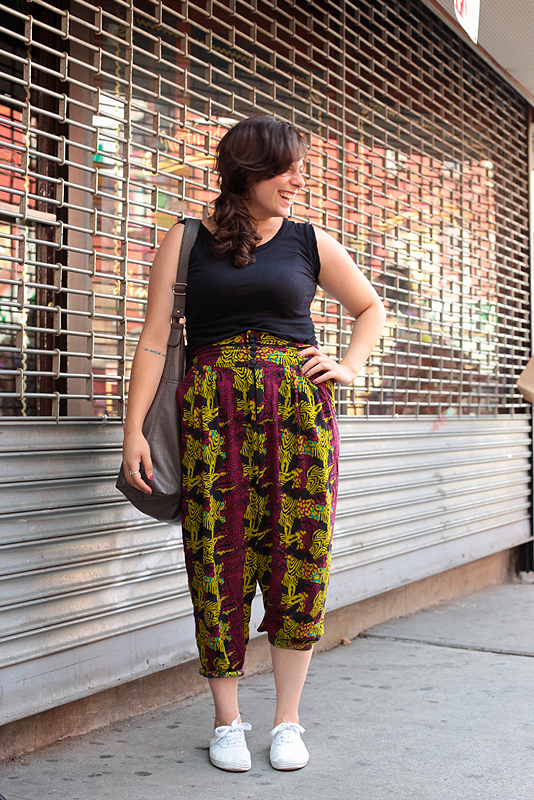 I'm sort of crushing hard on these African-inspired print harem pants. Those pants, great hair and a ready laugh make Nicole a perfect fashionist subject. Nice pants, and she seems like a kindred spirit but the harem look doesn't do much for her size/shape. that first picture is so great. she's beautiful!